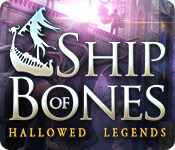 Hallowed Legends: Ship of Bones is rated 4.0 out of 5 by 48. Rated 5 out of 5 by Richard907 from Best Game Ever!! Just finished playing Ship of Bones and have to report that it's *brilliant*. Everything about it is excellent - was sad when it finished. Elephant Games never let you down. Rated 5 out of 5 by sheepqueen from Really enjoyed it! I play a lot of games and this is one of my favorites Lots to do and there are just the right amount of HOS. Great game! Rated 5 out of 5 by Titania from A great game !! Wow, I loved this game, as with all the other hallowed legend titles, the story line, graphics and music are brilliant. The mini- games are really good and not too easy. 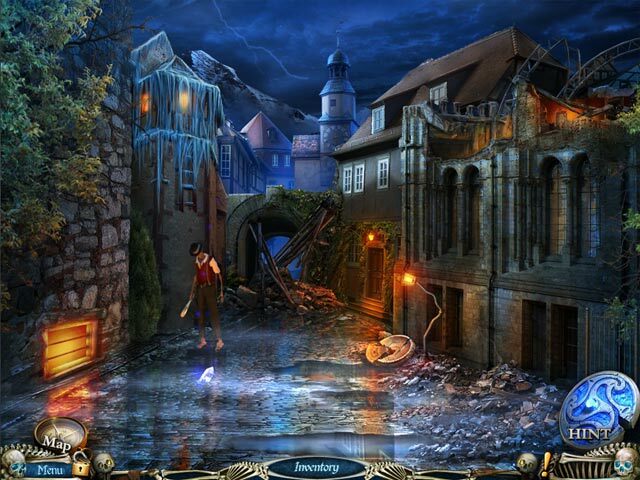 I even enjoyed the Hidden object scenes and I am not a great fan of HO's.. The map is very useful for jumping around, All in all I would definitely recommend this game to everyone. Great entertainment. Rated 5 out of 5 by Taylorkiddy from Excellent game Great game, great storyline - a bit different - worthy purchase, definitely worth a coupon for sure.. 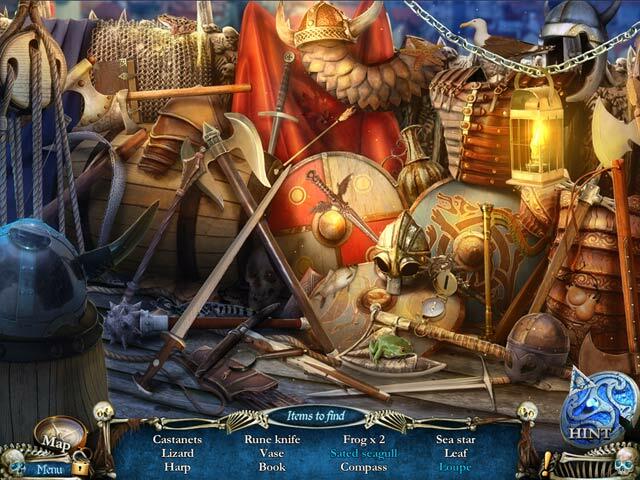 Rated 5 out of 5 by BlackWaterRules from Dark and Eerie Hidden Object Adventure This is a great game. You are flying through a thunderstorm in a very small aircraft. You crash land and can't find your pilot. You are met by Hamlet, a mysterious Raven, who warns you that you are in a dangerous land: the dead are roaming around, but there are dangers much worse than that. Visuals were first class, beautifully drawn, clear, crisp, and colorful, yet appropriately dark and eerie when necessary. The soundtrack was excellent with great voiceovers and narrations. 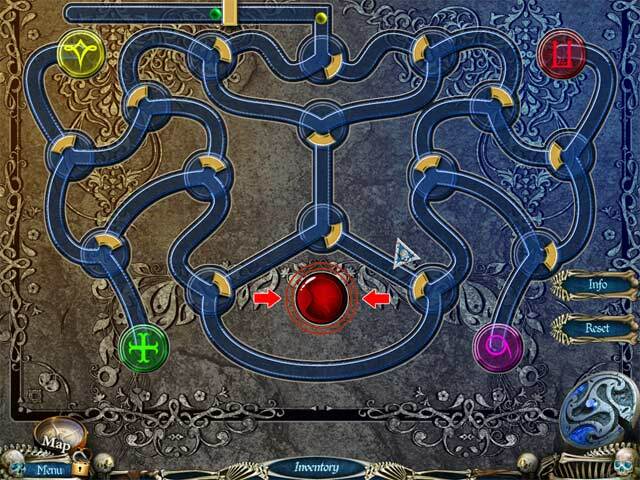 Hidden object scenes are the interactive list type. They are very well done, beautfully illustracted. Mini puzzles are easy but a lot of fun. There is a map, a book of fire, Hamlet the Raven, and the hint button to assist you. This is an all around great game. Rated 5 out of 5 by msgohard from Hidden object game-Hallowed Lengends:Ship of Bones The game is very interesting but, I'm stuck on the password for the cash register. Is there a certain way it's suppose to be inputted . HELP please. Rated 5 out of 5 by forsaferidcom from AFTER 5 YEARS THIS IS THE BEST I like long games this one is plus challenging and interesting sl, love the comments from the crow. After 5 years with BigFish this is my first review this game is worth it. It should be in top 3 games for the year. I know this late but just got around to playing it. Rated 5 out of 5 by catdroid from A well developed game This is a complex game with loads to do. While I wasn't wowed with the plot, the execution of this game is phenomenal. There is an interactive map - and you will need it. Great graphics Long long playing time Lots of HO'S (sometimes what they call an object is different than what the item is.) Some different puzzles Challenging All in all, A great buy. Rated 5 out of 5 by coolang1989 from GREAT GAME WITH A HAUNTED TWIST Wow I have to say that I never played a game quite like this before. At first I wasn't sureI was going to like it but after playing the 1 hour demo I knew that this was going to be a fun challenging game and I had to buy it. The graphics are good fun factor was excellent and the sound quality was good. I enjoyed the dialogue also. If you like a game with a little bit of a haunted twist to it play this one. I played the standard verison but was a little sorry I did not buy the collectors addition because of the guide and extra game play. Follow the trail of the mysterious woman in white and discover the secret behind her terrible task!